Illustration is a graphic representation to communicate a thought or text, visualized and made by an artist in any kind of visual form like drawing, painting, photograph or image. It can be an artistic impression for a text, poem, story or anything that needs to be conveyed in visual form. It is the most expressive way to explain the story between the lines or the things, which cannot be expressed in the form of text. Illustrations are widely used for Books where the drawings / images supplements to the text. 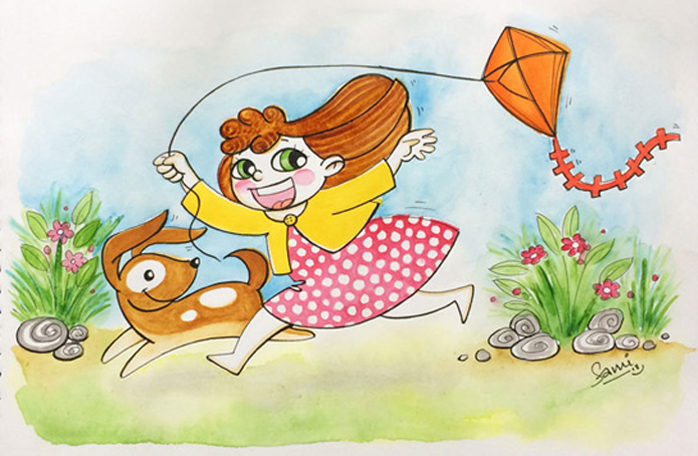 There are different techniques and mediums used for illustration such as- acrylic color, watercolor, oil, pencil / pencil colors, gouache, pastels, ink, charcoal, screen-printing, paper cutout, and many more. There is a basic difference between painting and illustration. Paintings are usually original artworks made on canvas or paper, where as illustrations are printed. A painting can be used as illustration when printed on a surface to explain something. Now a days illustration is also considered as an art form widely used for campaigning and publications. 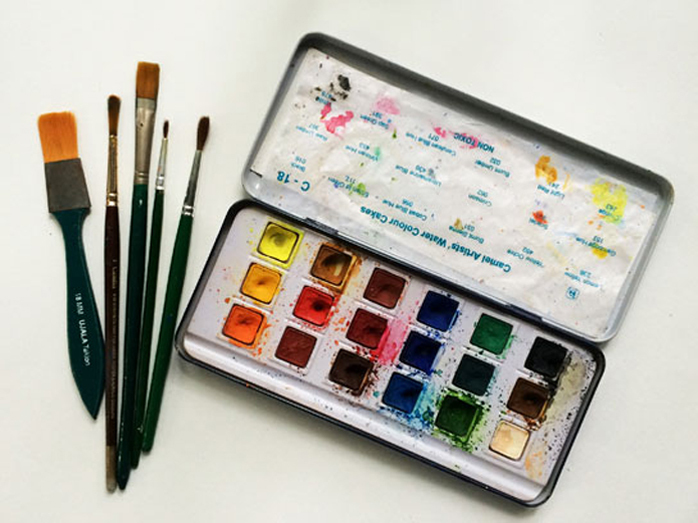 Watercolor is a transparent and luminous medium made up of water-soluble pigments in pure form. Traditional watercolor painting includes application of thin, transparent washes of pigments on paper. Watercolor is the most engaging, unpredictable and uncontrollable medium of painting. At the same time it is most exciting, expressive, quick, clean and portable medium too!